Use this silver metallic 50 ft. poly ribbon to add frills here and there! 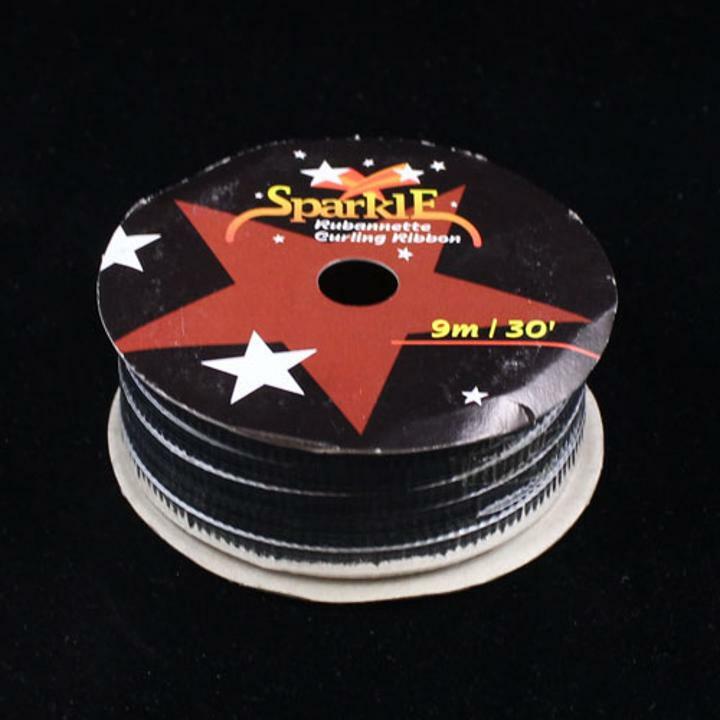 It's ideal for creating balloon strings or tying to wedding gifts, holiday packages or birthday presents! Can be used to decorate party tables as well. Search our line of other great bows and ribbons to wrap up any gift. 50 ft. ribbons are perfect for small jobs. For larger jobs we carry 100 yard and 500 yard ribbon spools. Our full line of curling ribbons include solid, metallic, holographic, iridescent and printed ribbons. More than 30 colors available.